Sorry for the shameless, self-promotion, but an amazing 5-star review came in a while back, and I just can’t keep it in anymore. I truly enjoy making people’s stay enjoyable and easy. 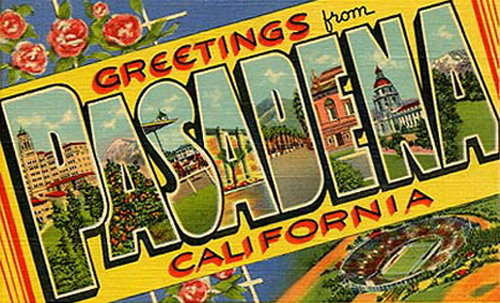 Pasadena is an amazing city, and I want to share it! We spent 5 weeks at the Bungalow so it truly was a home away from home. It was an absolutely perfect place for our extended stay – charming, comfortable, pristine, well-appointed and homey. The outdoor patio area was quiet and lovely — with a canopy of gorgeous Bougainvillea in full bloom, and shaded seating, it was our go-to place for the start and the end of the day. The location was ideal, with easy walk to stores, restaurants, and movie theaters, and easy access to local sights and major roads. Bonnie is a gem: she was readily available and extremely helpful. She did everything possible to make our stay a wonderful one. I would love to return if the opportunity should arise, and without question can give the Bungalow the highest recommendation.